You don’t know what Leckerly is? Not to worry, as long as you are not from Basel. Leckerly is a regional speciality. A kind of gingerbread biscuit which has been a part of any good tea or coffee round in the region of Basel since the last century. Despite the fact that every established Basel family has their own recipe it is not an easy product to produce. It takes a lot of work and effort as the pastry is very tough making it difficult to work with. 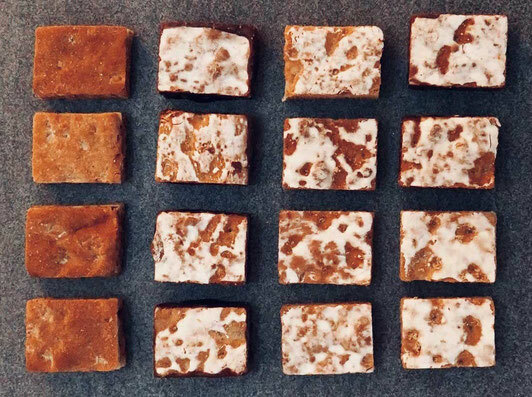 So it is no surprise that already in the 18th century the first confectioner began to produce the small gingerbread delights on a large scale in order to satisfy the demand from well-paying Leckerly consumers. 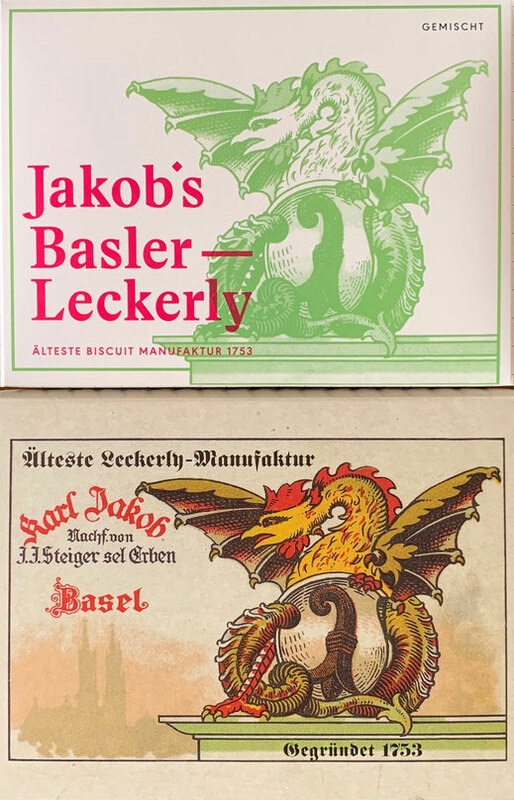 Although today’s Leckerly market is dominated by large industrial manufactures, one of the original makers has survived, Jakob’s Basler Leckerly. Their bakery and connected shop is located in the middle of a Basel neighborhood. When the married couple returned to their hometown Basel, they gave up their well-paying jobs to start a new chapter in their lives. ‘I knew in order to fulfil my dream of running my own business I would either have to have a good business idea or take over an existing business that still had potential.’ As the brilliant idea never came, the Kusters started to search for a business that was ready to be taken over. Then in 2016 they had a breakthrough. 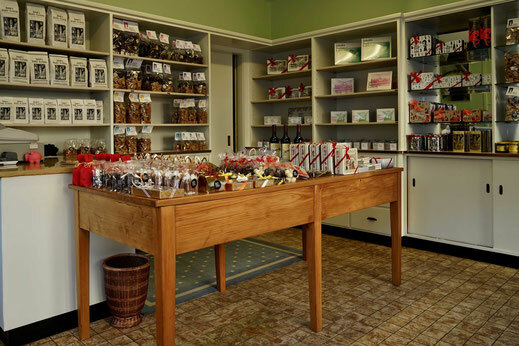 The couple were able to convince the owner’s widow of Jakob’s Basler Leckerly Manufactory that the family business should remain a family business. 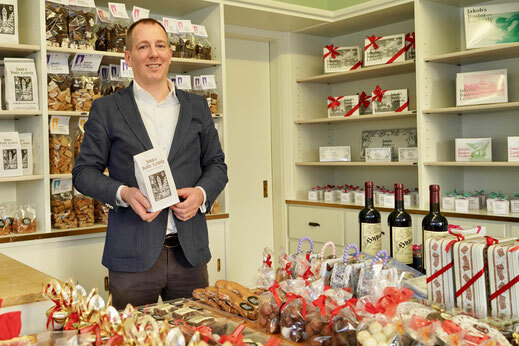 Charlotte and Andreas Kuster are now the fifth owners of 266 years of biscuit manufacturing. The basis of Leckerly is built on seven ingredients: honey, sugar, flour, almonds, candied fruit, spices and Kirsch. No additives are needed in Jakob’s Basler Leckerly. Andreas doesn’t go more into depth about the ingredients, after all this is a recipe passed down over generations and is the main capital of the traditional company. Leckerly are produced by two bakers early in the morning and are made by hand. 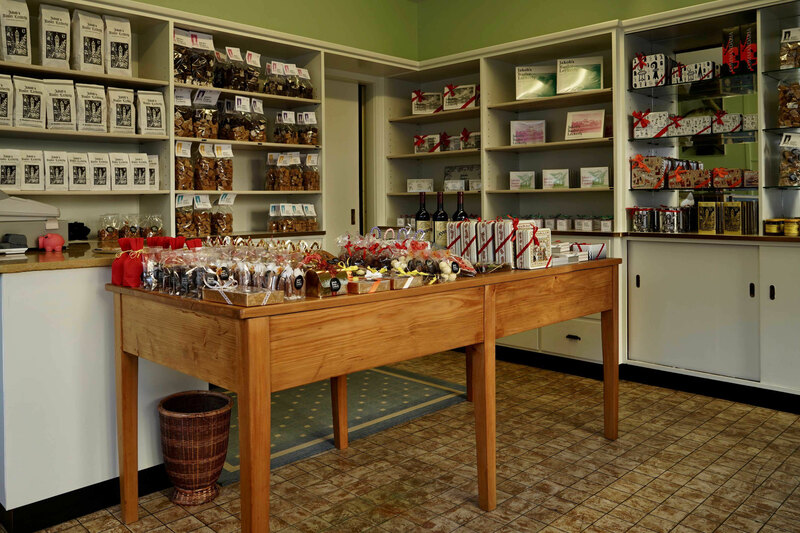 During the day they are then packed by two ladies who also serve customers in the adjoining shop. That the entrepreneurs have made the right choice can be seen in two points: all targets which were set for a five year plan have already been reached in half the time, and last year they won the Young Entrepreneurs Prize for Northwestern Switzerland. ‘We’re probably the oldest young entrepreneurs in the world,’ jokes Andreas. With this the chances are good that the high quality biscuits will further satisfy the tastes of generations to come.